Nian gao (sticky rice cake) is a must to usher in the Chinese New Year. 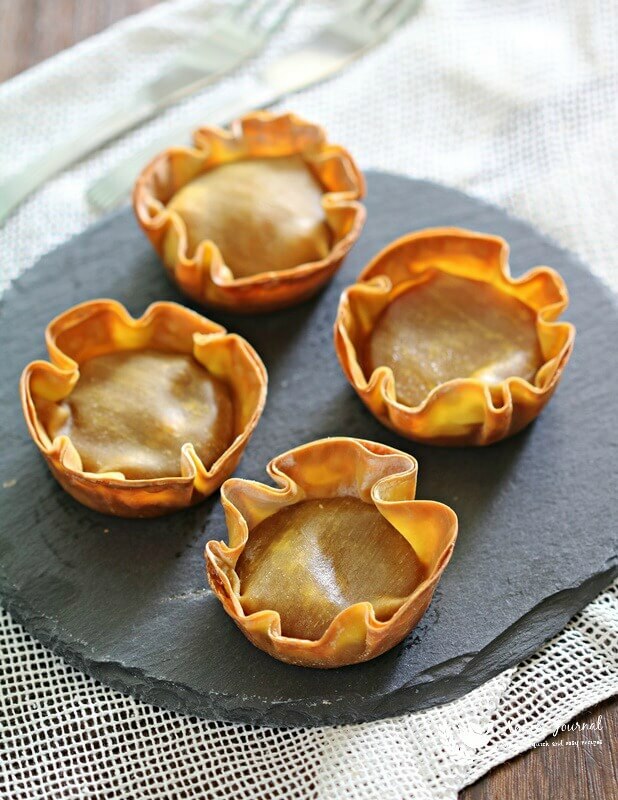 Traditionally the steamed nian gao comes in a round shape but during the festive season you can find them in many shapes and sizes. This Baked Nian Gao with Wonton Wrap (leftover nian gao from CNY) is easily made with only two ingredients and a little grease of oil. 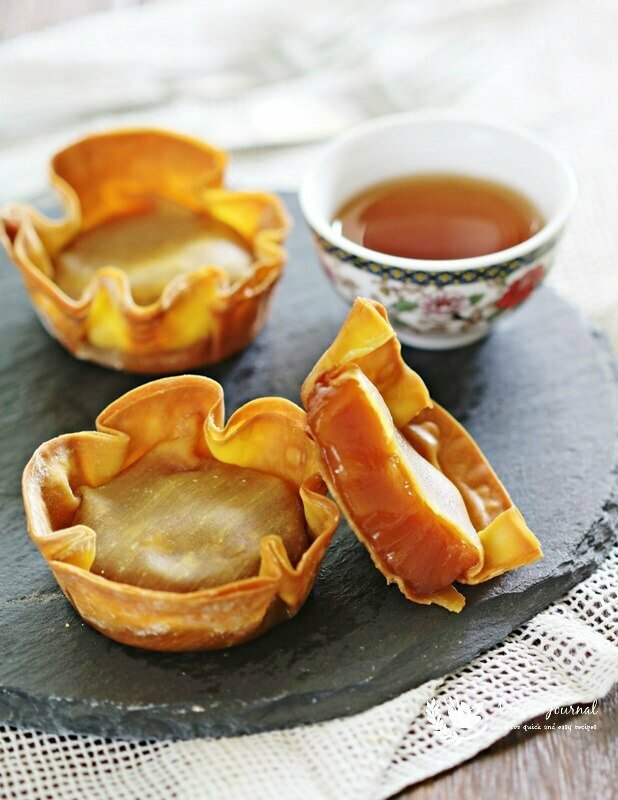 It only takes 20-25 minutes of baking and in return you will get a crispy wonton skin and a chewy soft and sweet nian gao filling. Good to serve it warm with a cup of Chinese tea. Good to serve it warm with a cup of Chinese tea. Crispy wonton skin with a chewy soft and sweet nian gao filling after baked. Preheat oven to 190 deg C. Grease muffin pan with cooking oil. Cut nian gao into 3 equal slices. Place one slice of nian gao on one piece of wonton skin and moisten the edge with some corn starch solution (1 tsp corn starch + 1.5 tsp water) or egg white. Then place another piece of wonton skin on top and gently press the edge to seal. Lastly gently press the nian gao into the muffin pan. 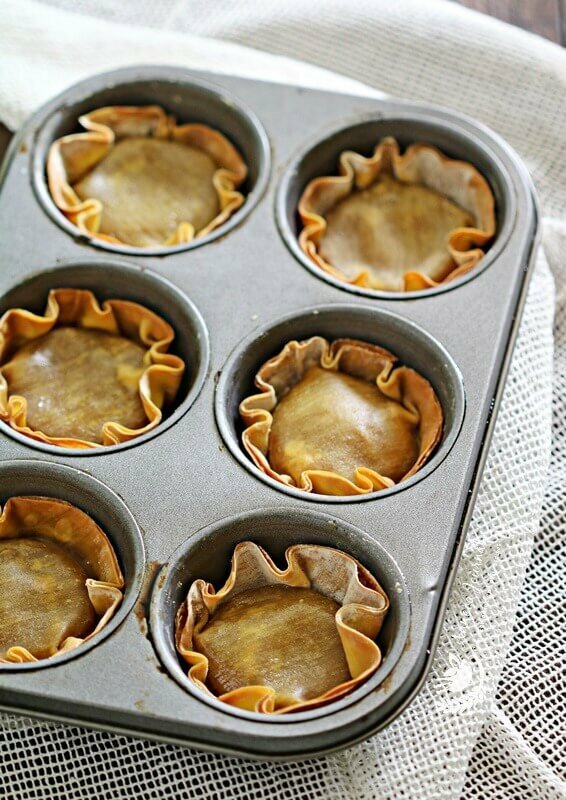 Brush some oil on top of wonton skin and bake into preheated oven for about 20-25 minutes. 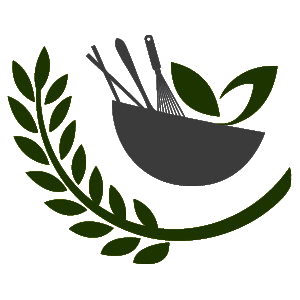 Best to serve warm. Beautifully made. Never thought of using wonton skin for nian gao. Pity I dont have anymore nian gao, finished it all up. I just fry with egg. Simple but tasty.